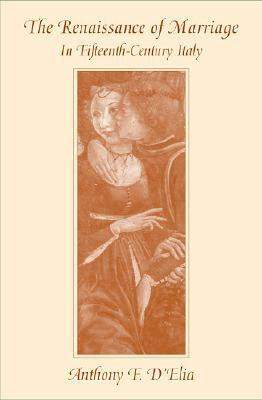 Harvard University Press, 9780674015524, 274pp. Weddings in fifteenth-century Italian courts were grand, sumptuous affairs that often required guests to listen attentively to lengthy orations given in Latin. In this book, Anthony D'Elia shows how Italian humanists used these orations to support claims of legitimacy and assertions of superiority among families jockeying for power, as well as to advocate for marriage and sexual pleasure. Humanists stressed the value of marriage in practical terms as a means for consolidating wealth, forming political alliances, and maintaining power by providing heirs. They also presented women in a positive light, as helpmates and even examples of wisdom and learning. While D'Elia focuses on Italian courts, he also examines ideas about marriage and celibacy from Antiquity to Republican Florence and Reformation Germany, revealing the continuities and distinctions between Italian humanist and Protestant thought on marriage. In bringing to life this fascinating elite culture, D'Elia makes a valuable contribution to the history of the Renaissance, women, and the family, and to studies of rhetoric and the classical tradition.